Dr. Michele Martinho is an experienced and personable internist located in the Gramercy Park neighborhood, serving men and women throughout New York City. Dr. Martinho is passionate about medicine and views her role as working in partnership with patients to help them live healthy, long, and deeply satisfying lives. Education has always played a pivotal role in Dr. Martinho’s life. She studied psychology at New York University, earning her degree in 1996. She then completed her Doctor of Medicine at the Ross University School of Medicine in Miramar, Florida. 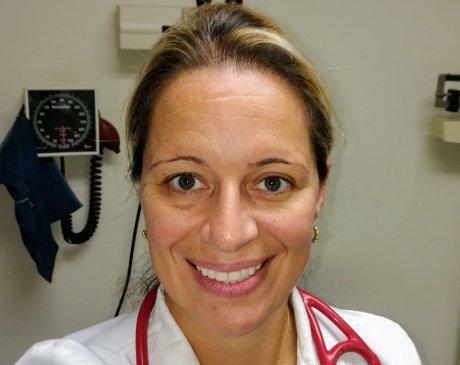 Dr. Martinho refined her skill set through an internship in internal medicine at Mount Sinai School of Medicine at Elmhurst, New York, where she also did her residency. She then completed the additional study and testing required to attain certification from the American Board of Internal Medicine. Now in private practice, Dr. Martinho has made a name for herself by focusing on patient-focused, quality care. Appointments are never rushed, and she takes the time to sit down and really get to know her patients and their specific medical needs and goals. Dr. Martinho truly believes that the best way to enhance health and treatment outcomes is by working to educate patients on the medical issues they face and giving them all the information they need to make the best possible treatment and lifestyle decisions.